Tired of running into your laundry with the vacuum because your clothes are strewn about the floor? Even if you buy a rack to hang them on it's still going to be in the way, unless the rack itself happens to be hanging just off the ground. 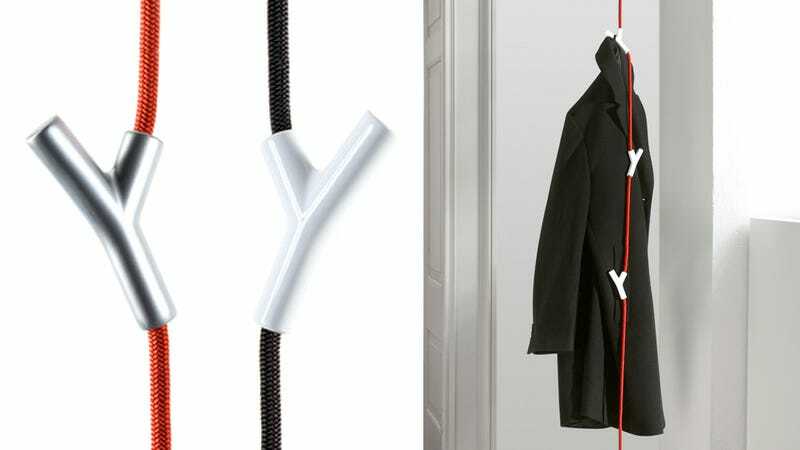 Veronika Wildgruber and Susanne Stofer's amusingly named Wardrope comes with all the hardware you'll need to suspend it from your ceiling, as well as four adjustable hooks that slide up and down its length. A weight at the bottom stops it from swinging around too much, and for around $87 you can get it in a variety of color combinations. Just go easy on the thick winter coats, backpacks filled with text books, or Tarzan impersonations, because the rack's only rated to support about 30 pounds.